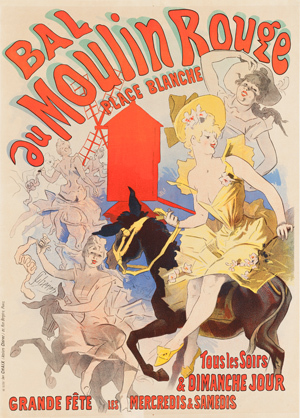 Colorful, inventive posters advertising Paris’s many entertainment venues, products, department stores, and more in the late nineteenth century made their maker, the French artist Jules Chéret (1836–1932), famous. His work in color lithography, which was previously used for commercial printing, transformed printmaking into a medium that artists today still see as rich for experimentation. This exhibition features highlights from the gift of nearly six hundred Chéret posters to the Museum from local collectors James and Susee Wiechmann. Image: Jules Chéret, Bal du Moulin Rouge, 1889. Promised Gift of James and Susee Wiechmann.